Commissioned by the Samdani Art Foundation for DAS 2018, Courtesy of the artists Seher Shah and Randhir Singh, and Nature Morte. “It is important to understand that today, given visa restrictions in the face of growing nationalism, South Asia is not as connected as it once was 5,000, or even 5 years ago. Today, there is more connectivity between Bangladesh and Thailand and Malaysia and Singapore than there is with Bangladesh and India and Pakistan; as reflected by Bangladeshi airline flight paths.” writes Samdani Art Foundation’s artistic director and the Dhaka Art Summit (DAS) chief curator Diana Campbell Betancourt in her letter to readers in this years DAS exhibition catalogue. South Asia is a political construct. Borders, lines of control, and names of nation states have changed many times in the past few centuries. And they continue to do so. Histories have been written, revised, accepted and rejected. Flight routes are created, rerouted and abandoned, visas are approved and denied, strings are pulled. Sometimes it works and sometimes it doesn’t. The Dhaka Art Summit (DAS) this year took to questioning and dismantling this construct. I made it to Dhaka with a foreign passport. I got there through Dubai, the direct Karachi to Dhaka flight was cancelled two weeks beforehand, and this route took seven hours longer. The curator who travelled with me came from Islamabad and spent the night at Dubai airport to catch the same connection. I went to look at work, while Omer Wasim, an artist who was showing work there, did not make it. His collaborative work with Saira Sheikh The Impossibility of Loving a Stone (2017) was printed in Dhaka and put up as per his instructions. One of their works reads “Were you dispossessed/ displaced?” It is poignant and apt. The tightening of borders and restricted mobility that is determined by layers of privilege and access were reflected in the presence and lack thereof of the Pakistani artists and their works at the summit. With the visa process being lengthy and extremely cumbersome, the shipping of artworks being next to impossible, and long waits and police checks on arrival (this goes both ways- for Bangladeshis visiting Pakistan too), the presence of Pakistani artists and their work has been a complicated process for the curators and organizers. Launched by the Samdani Art Foundation in 2012, the Dhaka Art Summit includes exhibitions, and a rich programming schedule featuring, talks, seminars and workshops. Since its inception, the DAS has established itself a unique, non-commercial platform for contemporary South and South Asian art, and critical conversation around it. The first work you see on entering the venue, Shilpakala Academy, is the tall red structure of Karachi born, London based Rasheed Aareen, constructed onsite. “All the Pakistani works were created here or printed here apart from Shahid Sajjad. 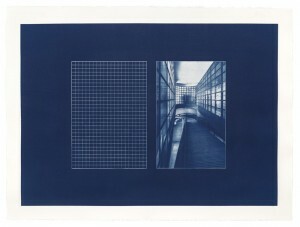 So the work we showed for Omer Wasim and Saira Shaikh, it’s a beautiful work and it was printed here.” Explains Betancourt. 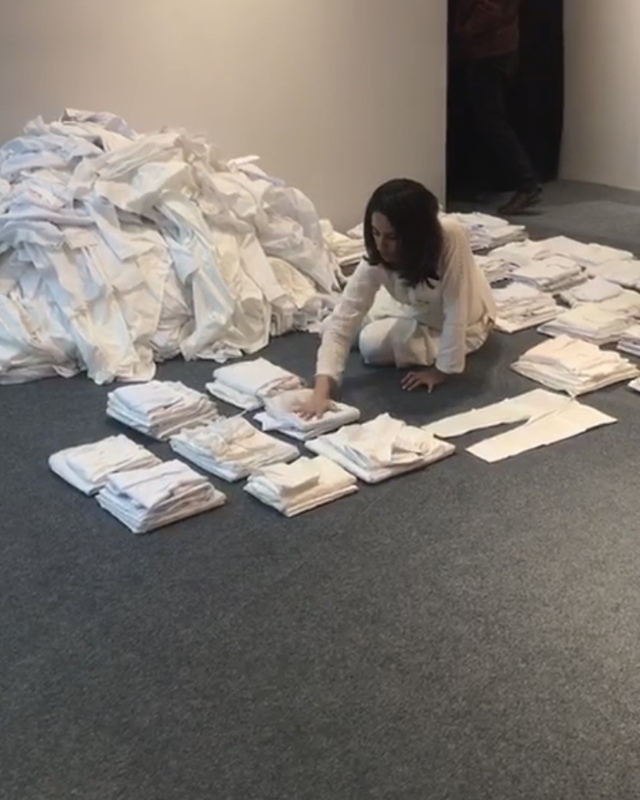 Ayesha Jatoi performed the meditative piece Residue (2016 – 2018), in which she picks up one item of clothing after another from a mammoth white pile, folds them and arranges them in neat new piles. There is a quiet sense of longing and loss that you feel watching her perform. Jatoi made it to Dhaka on her Pakistani passport with “great difficulty” she said. In case she didn’t make it, DAS prepared by training an alternative performer, however I could not imagine the space without her presence. 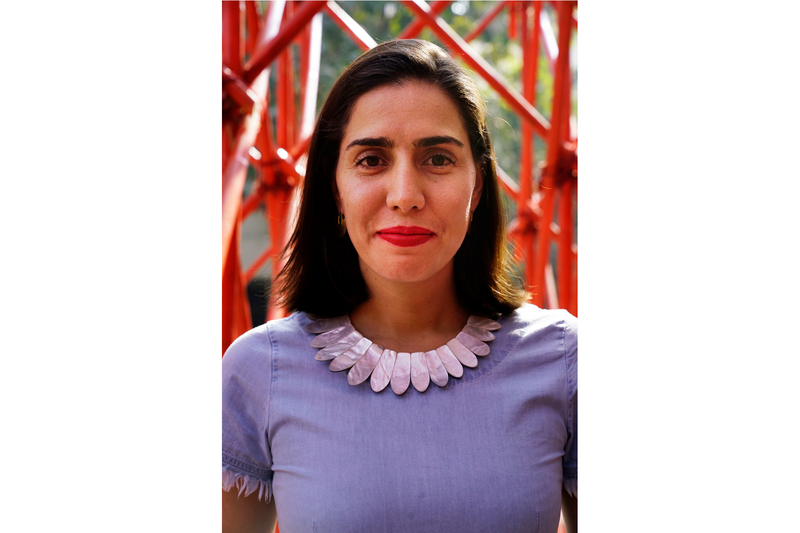 Betancourt shared that the Shahid Sajjad piece as part of her exhibition Bearing Points, is the most difficult work that she has ever worked with. She had to re-rout it from elsewhere as she was not allowed to ship the artwork directly from Pakistan. It was expensive, time consuming, and very stressful when a lender backed out last minute. Yet it was important to have this piece. Given the sculptor spent close to two years working in the foothills of Chittagong, it is ironic and a further testament to our rigid borders that it was so difficult for his work to come to Bangladesh. Questions of identity, mobility and displacement are confronted by several of the Pakistani artists their work. The work of Quetta born, Australian based artist Khadim Ali poses questions about loss, migration, and history tracing his families’ experiences as persecuted as members of the Hazara community. The Exhibition Planetary Planning curated by Devika Singh, explores notions of world making that have been articulated in and from South Asia since the 1940s. In this space, we find the works of Zarina Hashmi, whose life and work are marked with the creation of lines borders, and Lala Rukh’s drawings Mirror Image and Nightscape from 2011 that deconstruct space and landscape. In the same space, Karachi born, Delhi based Seher Shah’s large drawings in graphite recall a past modernist landscape and play between existing and vanishing within the space that they are drawn. She is referring to the Forensic Art History workshop led by Iftikhar Dadi, Anshuman Dasgupta, and Mariah Lookman that explored art histories that are not accessible through traditional sources such as archives and text books. The workshop looked at reimagining lost art histories of exchange across East and West Pakistan and East and West Bengal. In a session on Another Asia, art historians and curators led by Rustom Bharucha and Suman Gopinath discussed the past, present, and possible future for inter-Asia artistic exchange and the steps necessary to revive these transnational histories. With over 300 artists, 65% of them Bangladeshi, featured in the 10 curated exhibitions, one questions how such a balance is achieved between genders and between local and international works. Diana will not have her curatorial vision limited in this way. We cannot ignore representation -or lack of it- of women in art history, and so sessions such as Four Generations of Female Artists in Bangladesh, a conversation in Bangla bringing together artists and art historians to discuss the artistic contributions and legacy of figures who have often been excluded in art history are very important. 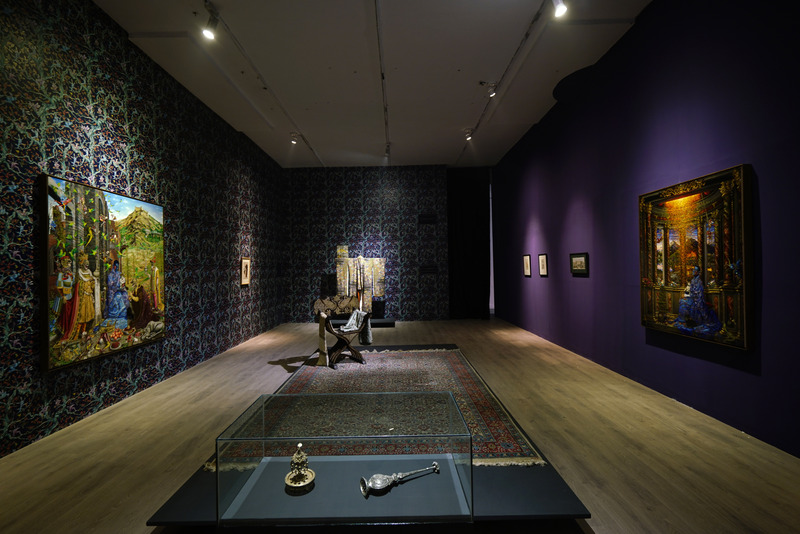 “The reason we have the Sri Lanka show curated by Sharmini Pereira is when we speak about marginalisation in South Asia, Sri Lanka really gets left out.” The exhibition One Hundred Thousand Small Tales looks at creating an art history of Sri Lanka as a response to its recent history. I mention this exhibition, because it was very delicately curated and very moving. “They try not to be curators themselves”, Betancourt adds, speaking of the independence and trust given to her as a curator. There is no intrusion from the government in either the foundation nor the summit.” “The academy is given to us two months in advance, everything we see including the walls are all built. The same building is completely reimagined, “ Nadia explains while knocking on the wall behind her. “The space is completely built as per the artists’ requirements. In the curatorial part there is never any involvement of the government. It’s a show of integrity”. The most unique element of the summit is in her vision of it as a whole, which Betancourt eloquently describes. “I see it as a holistic project. I see it as different editions that build on each other. The first edition was about Bangladesh, the second was about South Asia, the third was about complicating South Asia by looking at the international, and this one is about blowing up the South Asian idea because it’s a political construct. Lets see what the next one is like. Its not a forever project, It’s a finite project.